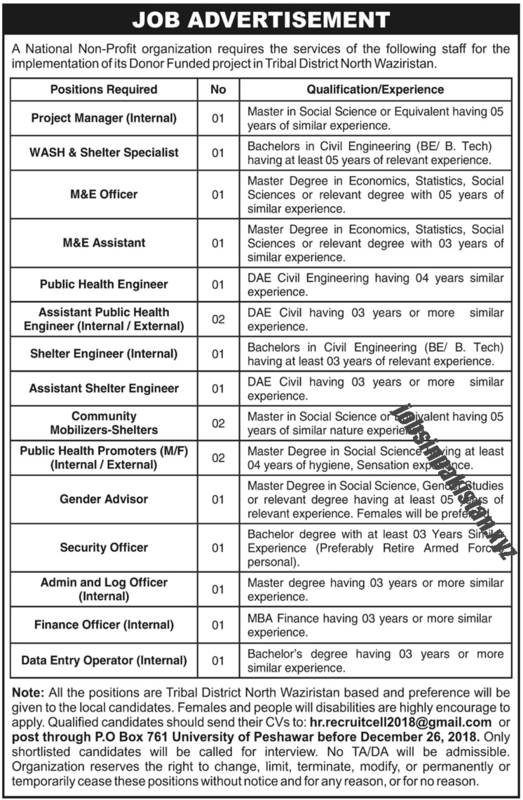 Jobs Description: North Waziristan Jobs December 2018 are listed below in our site. Tribal District North Waziristan is one of the most beautiful districts in Pakistan. It situated near the Pakistan and Afghanistan border. A Non-Profit Organization in Noth Waziristan has required the applications for following jobs. How To Apply: The interested candidates may send their applications to hr.recruitcell2018@gmail.com or post through P.O Box 761 the University of Peshawar. Only shortlisted candidates will be called for test and interviews.